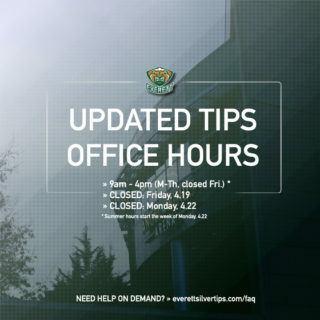 The Silvertips visit the Victoria Royals for the first of four meetings this season … the Silvertips went 3-1-0-0 against Victoria last year and are making their first visit to Victoria since March 17, 2018 … the Tips are 30-14-3-3 lifetime against Victoria in 50 meetings … the Silvertips have won three straight meetings against the Royals … the Silvertips are 9-2-0-0 against opponents from the B.C. Division. 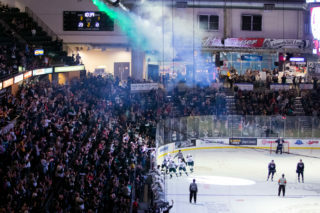 TC 4 – EVT 3 (1-11-19): A late short-handed goal along with multi-point nights from Tri-City forwards Parker AuCoin and Sasha Mutala gave the Tri-City Americans the edge over the Everett Silvertips, 4-3, before 5,389 fans at A.O.T.W. Arena on Friday night in U.S. Division action. 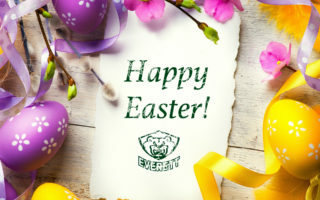 The Silvertips had their 11-game home win streak come to a close, yet have won or gained points in 24 of the past 28 games. Zack Andrusiak, Bryce Kindopp, and Jake Christiansen scored for the Silvertips. MOVIN’ ON UP: The Tips entered today ranked #4 in the CHL Top-10 rankings … they have resided in the Top 10 for the last seven weeks … the Tips have won or gained points in 24 of the past 28 games … their 66 points are second most in the WHL, seven behind Prince Albert. 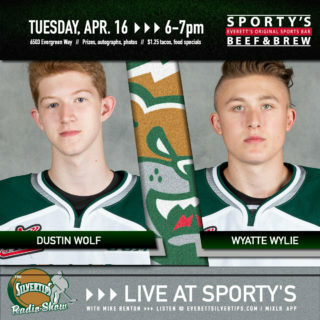 C. CONNECTION: The Silvertips carry nine players on their roster from the province of British Columbia. ZACK ATTACK: Zack Andrusiak scored his 30th goal of the season last night vs. Tri-City … it is the second straight season he has reached the 30-goal plateau … Andrusiak has 9 goals in the last 7 games … his 30 goals are third in the WHL. BRYCE YOURSELVES: Tips forward Bryce Kindopp – named assistant captain Jan. 3 – led the team in points (13) and goals (9) for the month of December, covering 9 games … he has tied Connor Dewar with the longest point streak (11) for the regular season. RELENTLESS PITBULL: Tips captain Connor Dewar earned the 41st multi point game of his career Friday night vs. Tri-City … he leads the Tips in game winning goals (7) and first goals of the game (7) … his 29 goals are tied for fourth in the WHL. 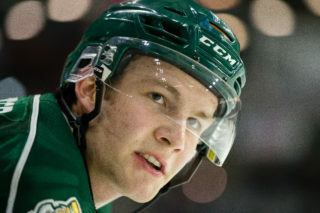 The Tips acquired LW Robbie Holmes from Regina on Thursday (1/10) in exchange for prospect forward Sloan Stanick, a second round selection in the 2020 WHL Draft, and a sixth round selection in the 2022 WHL Draft … had 16 points (9g-7a) in 24 games … was in training camp with the Colorado Avalanche of the National Hockey League … last season was tied for fifth on the Pats last season with 16 goals and adding 13 assists in 68 games.